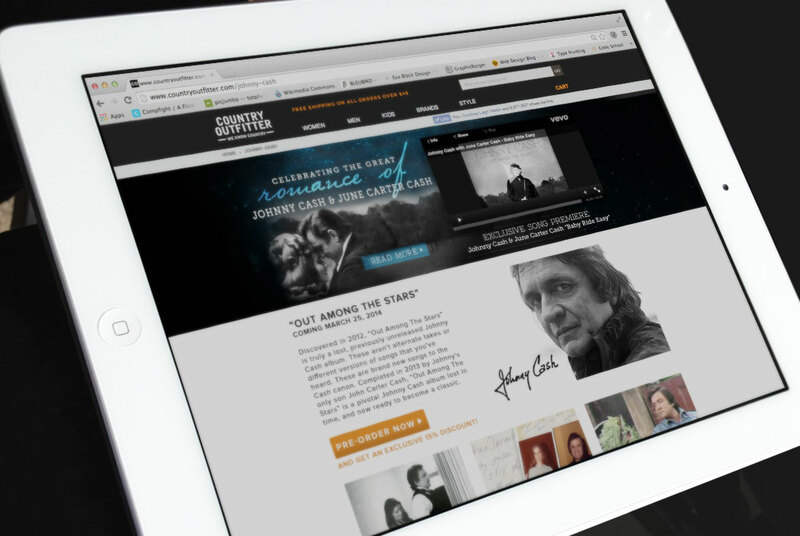 In partnership with Sony Music Nashville, Country Outfitter ran a campaign for Johnny Cash’s lost album Out Among The Stars. 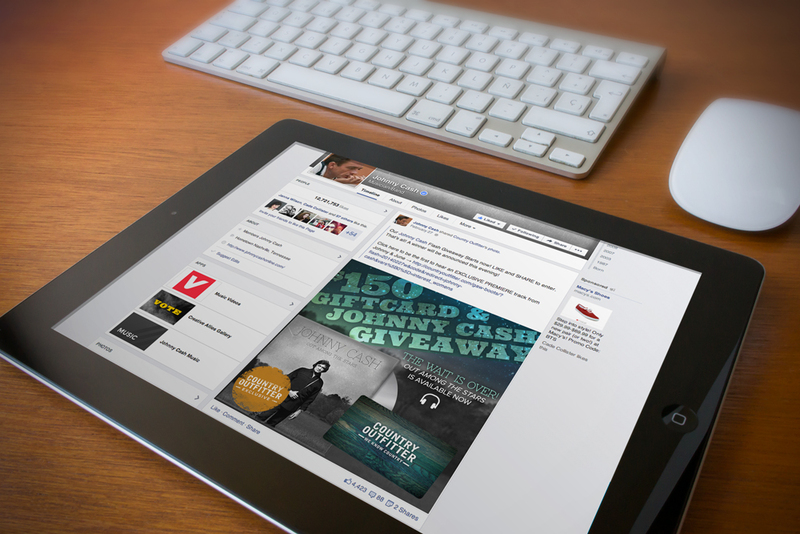 As the Nashville team’s lead designer, I created all of the graphics for this campaign which included a landing page, graphics for our content site Country Outfitter Style, multiple facebook images that were shared on Johnny Cash’s facebook page and an email promoting the giveaway. It was a privilege to be able to design for one of Nashville’s most legendary artists. We also gave Country Outfitter fans the first listen of Baby Ride Easy from Cash’s new album before it was released on iTunes.